Another of the Plaxton Centro bodied Volvo B7RLEs has been upgraded to Palladium standard and received the Citaro style grey and pale yellow colour scheme. Volvo 529 was noted in use on service 5 alongside the similarly liveried Mercedes Citaros. 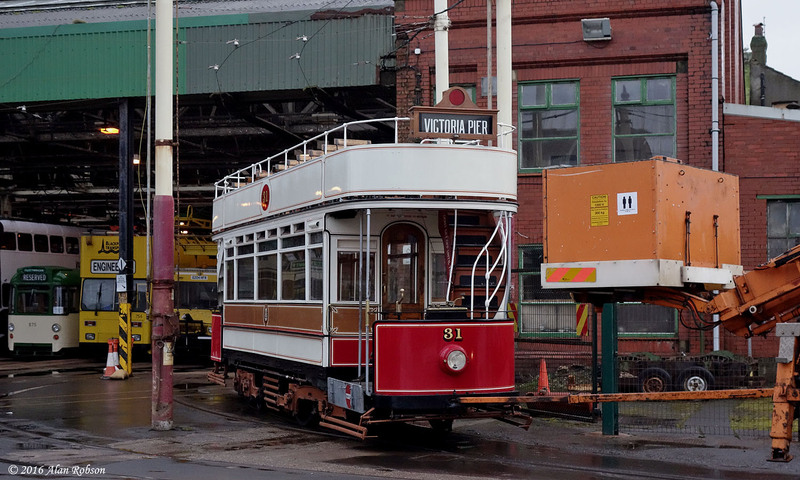 Centro 531 is the next of the Volvos in line for a Palladium repaint. 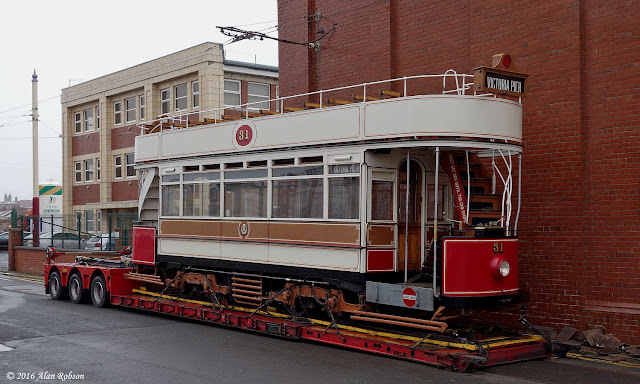 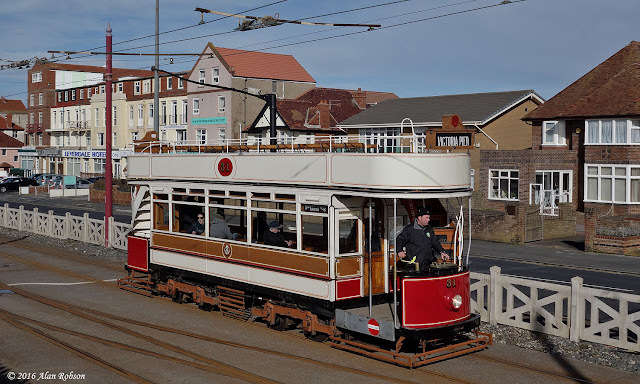 Marton Box Car 31 made its debut in Heritage Tram Tour service in Blackpool on Sunday 27th March over the Easter Bank Holiday weekend. 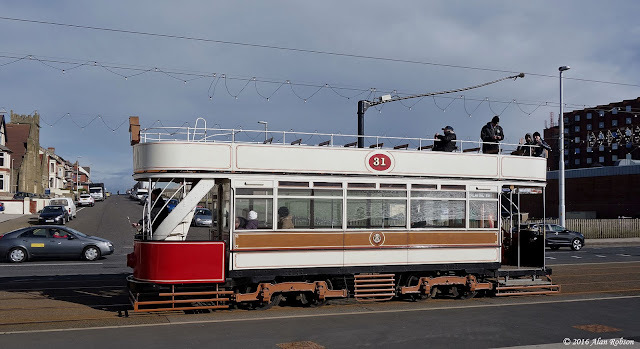 Marton 31 has been swapped with Blackpool Standard 147 which has gone north to Beamish in County Durham for the season, 31 will be spending the year operating Heritage Tours on the Fylde Coast. 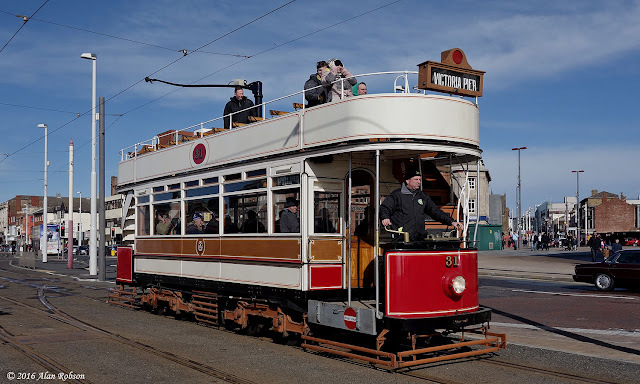 The weather was rather unkind for the debut of the open-top tram on Easter Sunday, with the morning being blighted with heavy downpours and hail showers, although later on in the day the weather had picked up considerably, and blue skies were much in evidence during the afternoon. 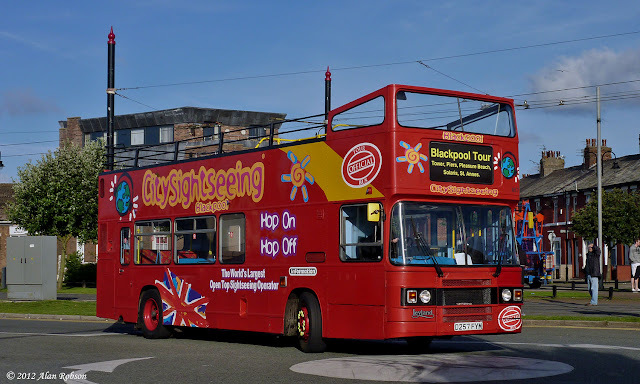 Former City Sightseeing Leyland Olympian 857 (D257 FYM) was noted out in use in Blackpool today. The last year of City Sightseeing tours in the resort was 2012, and Olympian 857 survived long after its sister vehicles had been sold for scrap. This elusive vehicle was painted in a 1980s Atlantean style livery of green and cream back in 2014, and retained for use on private hires. 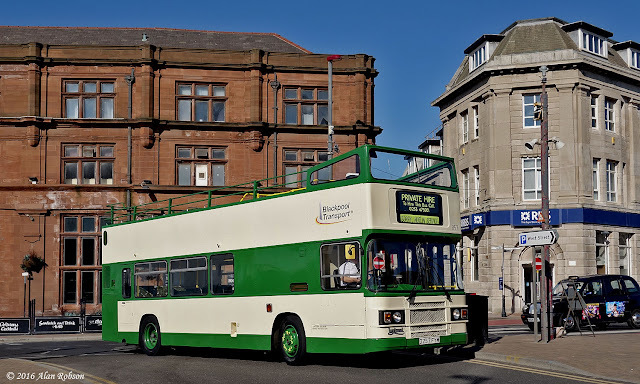 857's limited use makes it a rather difficult bus to catch up with, however it was captured in full sunshine in the town centre on Thursday 17th March. 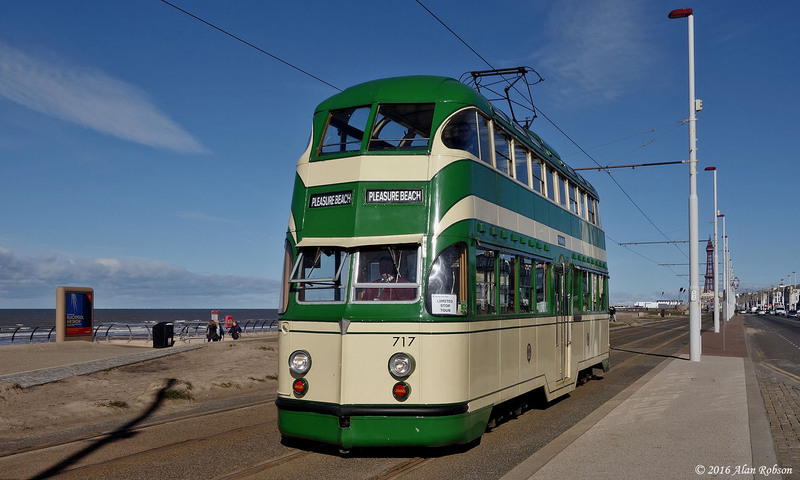 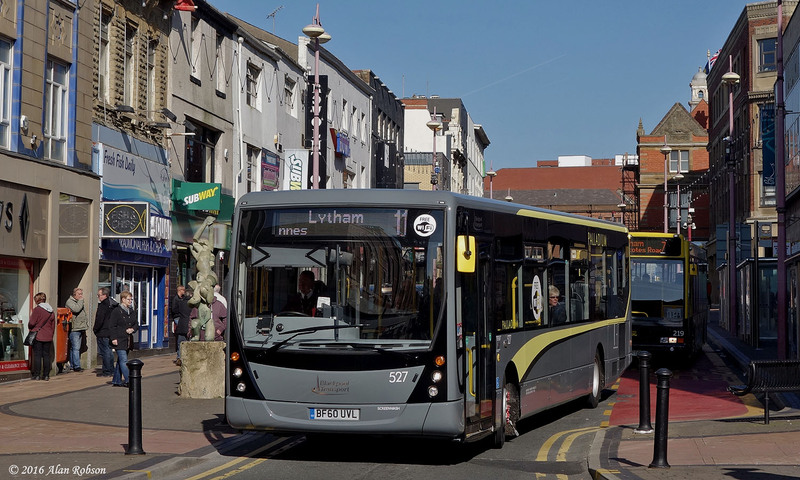 On Sunday 3rd April 2016 the Lancastrian Transport Trust have organised a free heritage bus service which will be operated by Catch22Bus Ltd to introduce passengers to their new service 24 and extended service 22 between Cleveleys and Fleetwood. 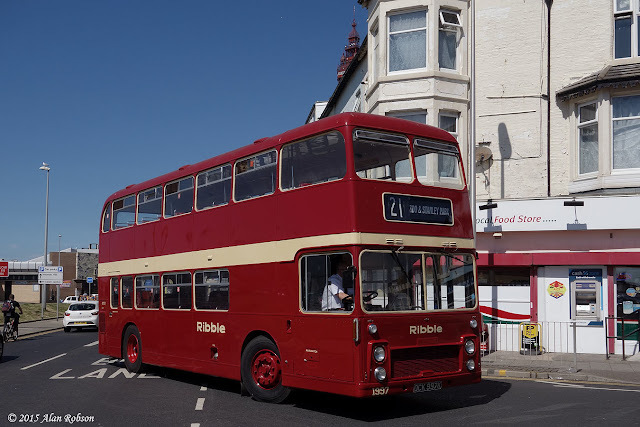 The heritage service has been planned to mark the passing of Ribble (Stagecoach) operations within the Wyre Borough area. 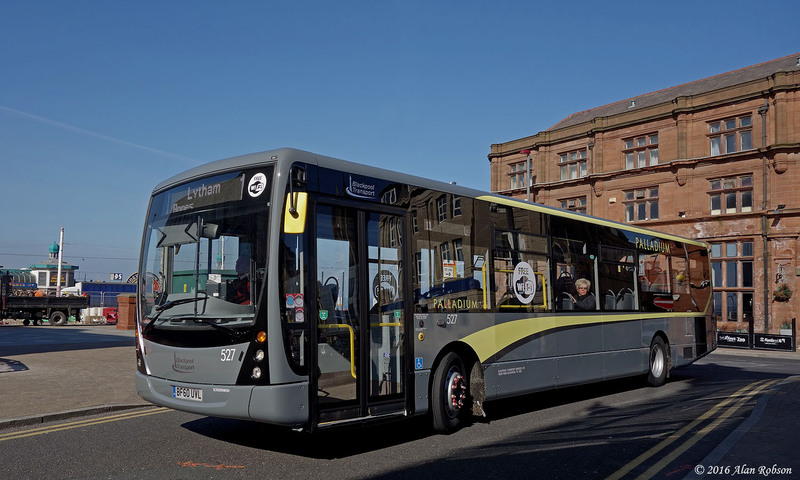 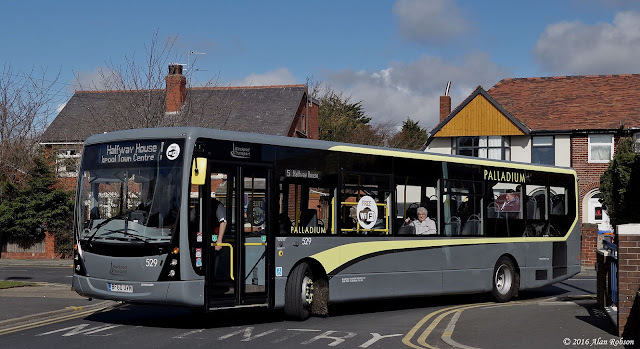 (The heritage journeys will be free of charge, with normal fares applying on all other Catch22Bus routes, including the service 22 between Mereside and Cleveleys). 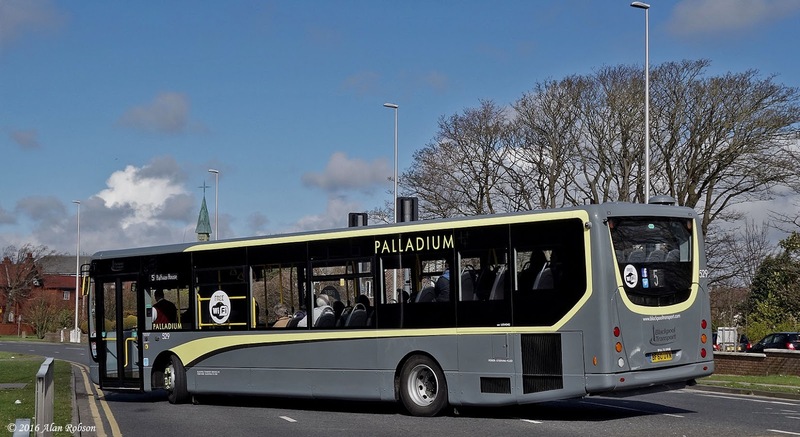 Since Blackpool Transport took delivery of their ten Palladium branded grey and yellow Mercedes Citaros last year, they have decided to extend the grey and pale yellow look to other vehicles in the fleet. 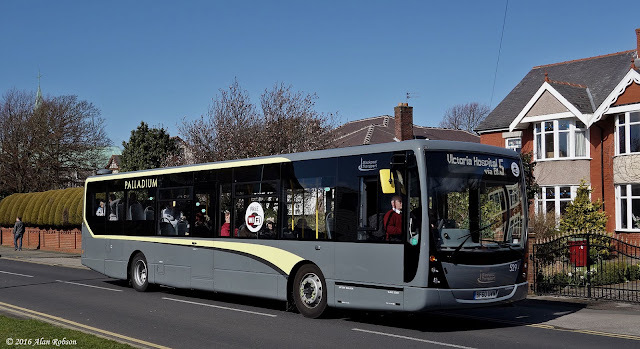 527 (BF60 UVL), a Plaxton Centro bodied Volvo B7RLE new to Blackpool in 2010, is the first of the existing bus fleet to be upgraded to Palladium standard, and has been outshopped in the same colour scheme as the Citaros, along with an upgraded interior and free onboard Wi-Fi. 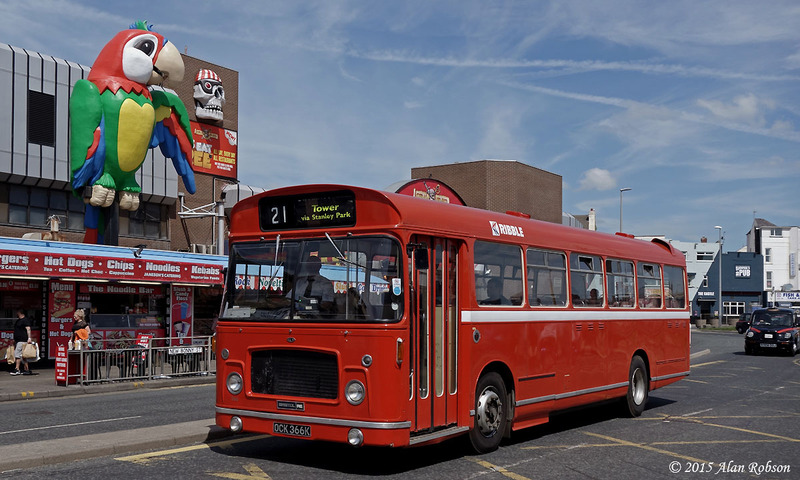 Volvo 527 has been noted in use on services 7 and 11 since it returned to service in its new guise. 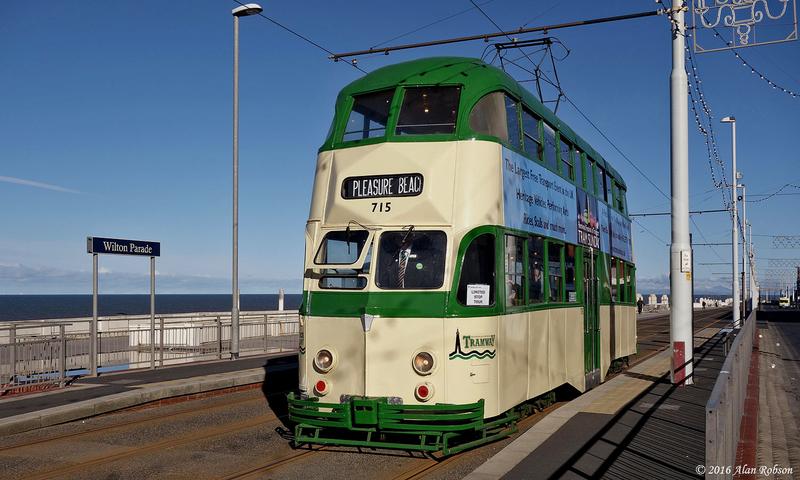 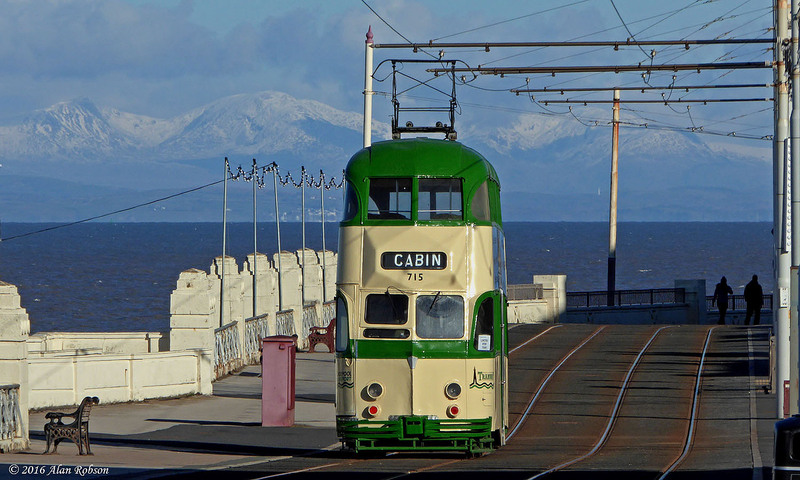 Saturday 5th and Sunday 6th March saw the Heritage Tram Tours operating on a blue timetable. The output over the weekend consisted of Balloons 715 and 717 operating the service on both days. 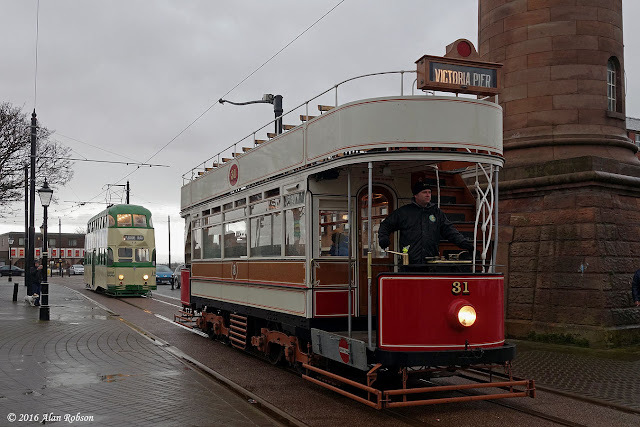 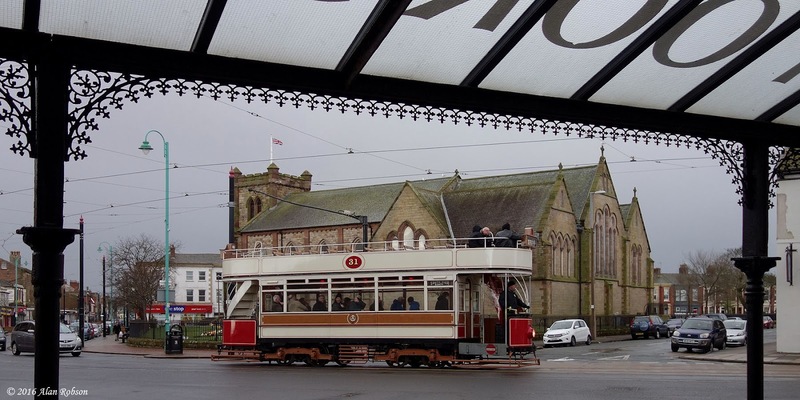 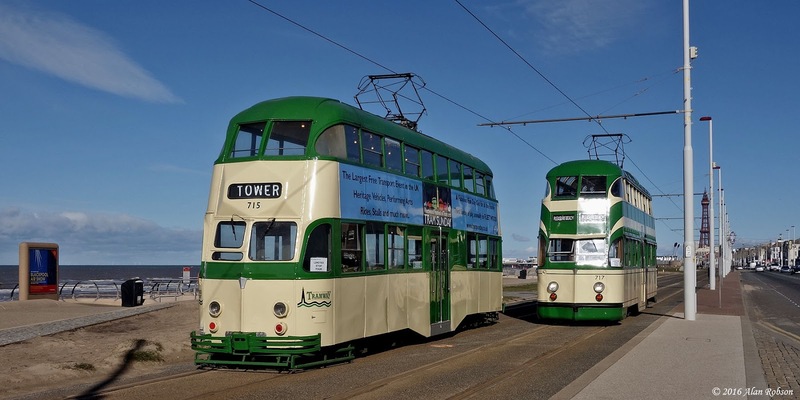 The two trams shuttled backwards and forwards between North Pier and the Pleasure Beach for most of the day, with four trips timetabled to run north to the Cabin. 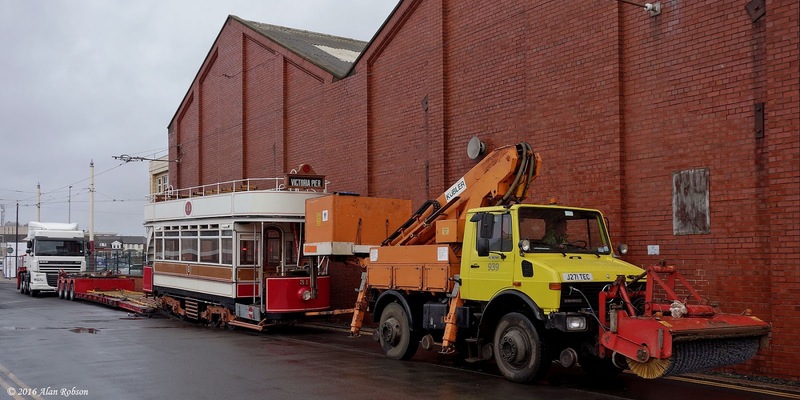 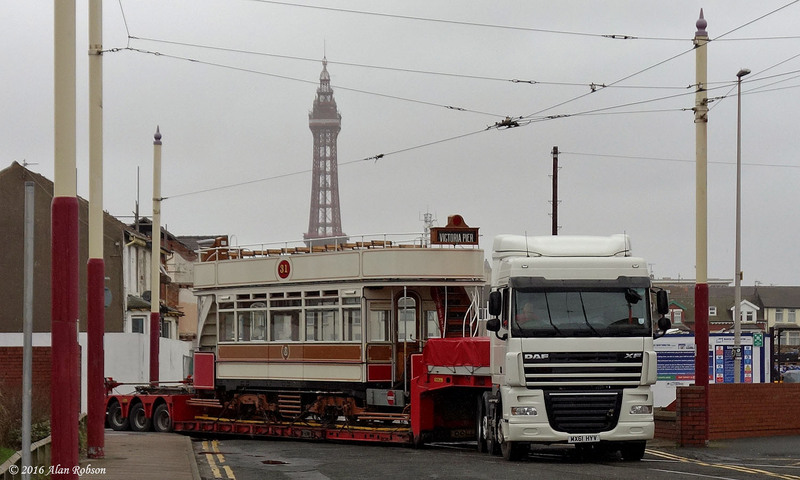 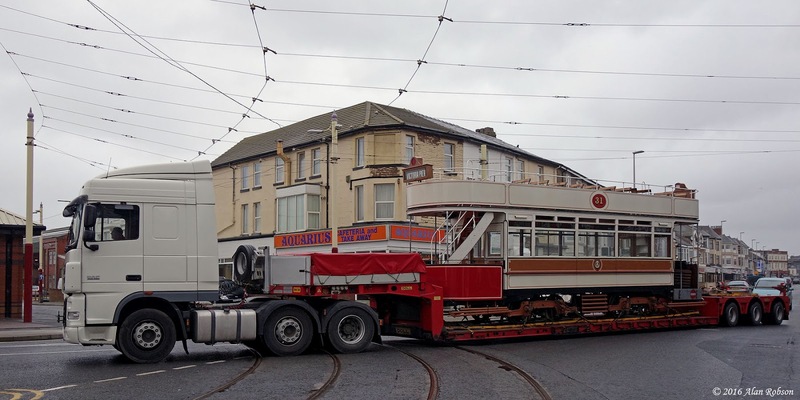 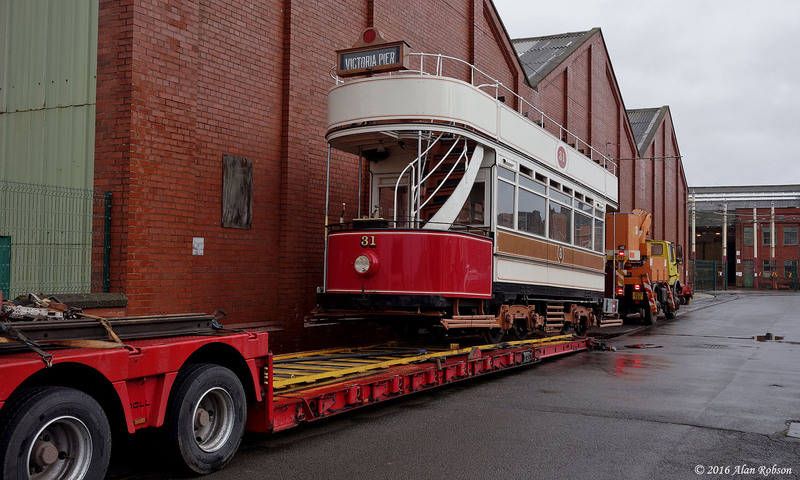 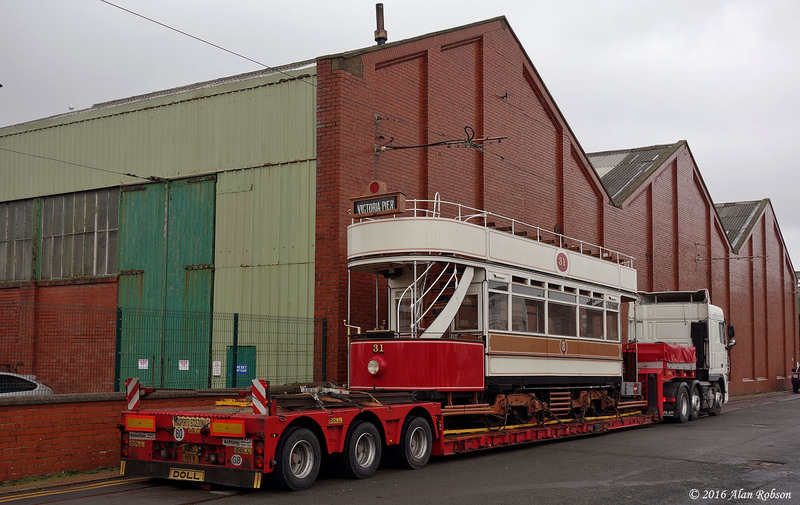 The second half of the tram swap between Beamish and Blackpool was completed when Marton Box 31 was delivered to Blundell Street by Calkeld Heavy Haulage on the afternoon of 2nd March. 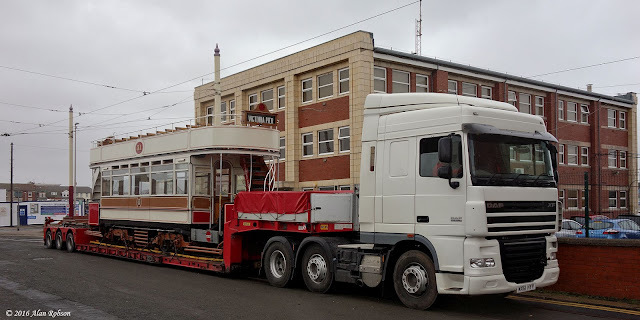 After Standard 147's complicated and lengthy journey north to Beamish over the previous two days, via 'A' roads and 'B' roads, the delivery of Marton 31 was a relatively straightforward affair, with much of the journey being completed via motorway due to the reduced height of the tram, which had also had its trolley mast removed in order to facilitate the journey. 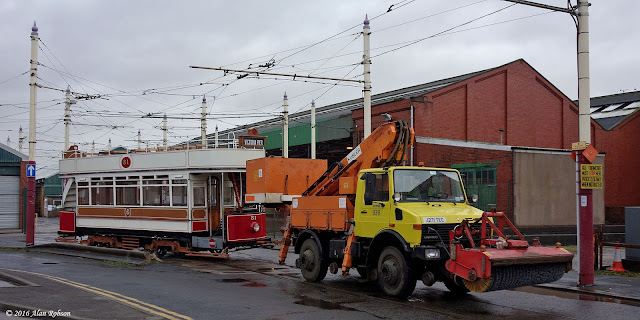 31 arrived in Blundell Street at 1510, and after a swift unloading the tram was soon shunted into the depot by Unimog 939.